I would like to start my blog post by asking you to reflect on your WHY. Pause for a while and think about the reason or reasons why you started your business. I highly doubt that your answer is rooted in accounting tasks or involved any type of bookkeeping project at the slightest. It is apparent that you’re passionate about what you do and you love working in the construction industry, be your own boss, and have the freedom you’ve dreamed of. I admit, small business owners - like myself, have learned to make the most of the resources we have. And as an entrepreneur, tend to take on the challenge of wearing multiple hats. Marketing your business, answering phone calls, responding to emails, scheduling appointments – to name a few. However, I am reminding you now that being a company owner and doing your accounting and bookkeeping requires a totally different skill set from being a construction expert in your field. When it comes to your financials, it would be wise to take a step back and let someone who specializes in bookkeeping do it for you. Not just any accountant or bookkeeper, but see to it that they are Construction Bookkeeping and Accounting Professionals. Do I have experience in bookkeeping and/or accounting? Outsource: Working with a knowledgeable and experienced bookkeeper that specializes in your industry will save you time in setting up your system and processes, so it’s easier to get started. DIY: You may have a bit of a learning curve. Start by familiarizing yourself with construction bookkeeping and accounting processes. Create a system and an everyday routine when it comes to managing your paperwork. What kind of software and applications should I use? 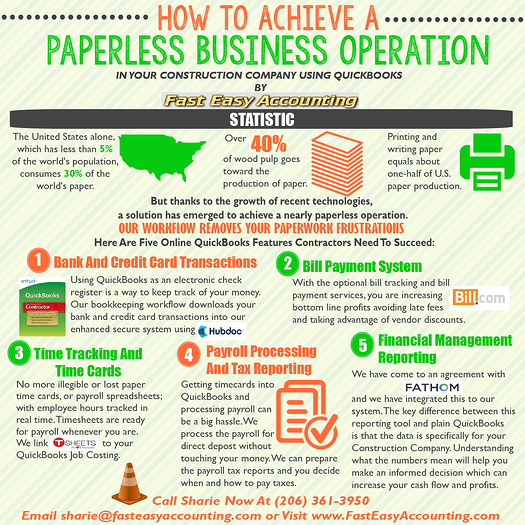 Outsource: Your construction bookkeeper will be able to help you out and can determine which accounting software will work best for your business, provide you with extensive training and support, and share tips and tricks on how you can optimize it. Fast Easy Accounting supports several different software and applications. In particular, QuickBooks or Xero for construction depends on how you get paid, the type of work your company does, and if you need Job Costing. DIY: This is where it gets tricky. As I have mentioned, using a particular software depends on the kind of contracting business you have, what you need out of it, and how much time you are willing to devote to learn and use it. Keep in mind that using a more popular and in-demand software and applications have a significant advantage in case you are having some issues. Tech support should be readily available, and if not, a quick Google search can lead to video tutorials and community answers. Can I process payroll for my employee/employees? Outsource: During a regular pay schedule, when time cards arrive on time, everything runs smoothly. Payroll processing is a complex task and shouldn’t be put off because it can lead to burdensome complications especially when time cards are late or you have to deal with overtime management, entry errors, employee loans, and ineffective time records. Fast Easy Accounting offers Payroll Processing with options such as Paper Check, Direct Deposit, or Debit Card. DIY: To learn how to process payroll for your employees is one thing, but to deal with common payroll issues I specified is another thing you need to add on your to-do list even when you’re already busy juggling other tasks. How do I generate Financial Reports? Outsource: Contractor Financial Reports such as Profit and Loss, Balance Sheet, Cash, Receivables, Payables, Job Costing Reports, and Job Profitability Reports all depend on proper bookkeeping set up from Day 1. It’s easy to pull a report based on the entries and make use of it whether you want to understand when and where you are making money, or you need to present your financials to the bank or CPA. DIY: It is easily accessed and generated from your accounting software. The real question here is, how reliable are your reports? A generic chart of accounts that comes with your QuickBooks software, for instance, is not customized to your construction business needs; thus transactions are often assigned to improper categories resulting in inaccurate reports. The ability to produce more fieldwork is dependent on your construction skills but more on your ability to plan your work and work your plan. 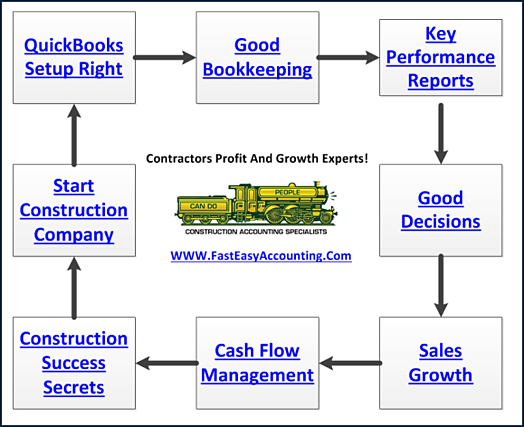 Contractors like you are skilled in construction but not usually in construction accounting. As Construction Accountants, we understand that there are “too many tasks” and not enough time in the day. This is why we develop systems and processes, use software and apps to make it as fast and easy as possible for our clients to manage their business. In the end, it’s not that you can do your own bookkeeping, it is about the best use of your time – whether you are talking to a prospect, looking at a job, creating an estimate, writing an invoice, collecting the money, cleaning your truck and even sleeping. We offer construction bookkeeping and accounting solutions at our online store. 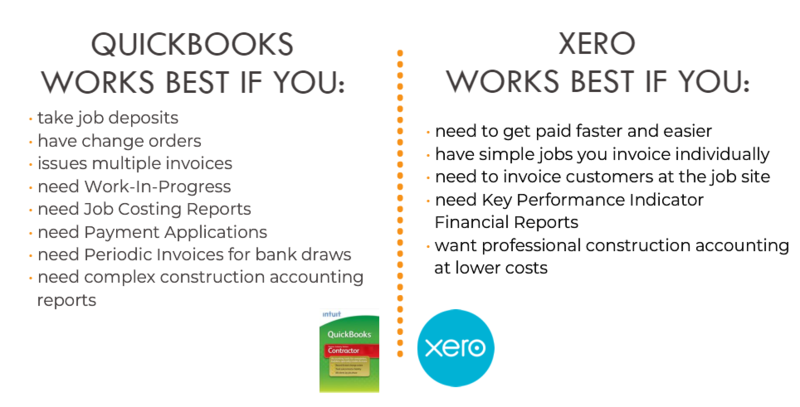 We have QuickBooks and Xero set up templates for those who would like to do their own bookkeeping, we have packages available to choose from when you need to outsource it to us, or opt to have an in-depth review of your current bookkeeping set up. 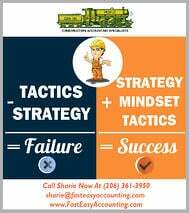 You can always schedule a free one-hour consultation with me by calling our toll-free number 1-800-361-1770 or (206) 361-3950 or send me an email sharie@fasteasyaccounting.com. We help a little or a lot depending on your needs. I look forward to being able to assist you with any option that best fits your company. Please feel free to download all the Free Forms and Resources that you find useful for your business. When You Become A Client - Then we can tap into our resources of knowledge and strategy banks. We use the reports hidden in your QuickBooks in order to diagnose and understand your construction business and develop plans and help you implement a path to success for you and you alone because every contractor has unique Strengths, Weaknesses, Opportunities and Threats (S.W.O.T. Analysis) that when understood can lead to a Strategic Roadmap which cannot help but make a lot of money. For Construction Company Owners who do not need the full power of a QuickBooks for contractors and want 24/7 online access we offer Xero Accounting Online, and we have a custom setup for construction companies. Click Here For More. This Is One More Example of how Fast Easy Accounting is helping construction company owners all across the USA including Alaska and Hawaii put more money in the bank to operate and grow your construction company. Construction accounting is not rocket science; it is a lot harder than that, and a lot more valuable to people like you so stop missing out! Call Sharie 206-361-3950 or sharie.com and schedule your no charge one-hour consultation. Profitable Contractors and Construction Company owners have known about the value of outsourced bookkeeping services and contractor coaching services like ours for a long time, and now you know about it too! Thank You For Reading This Far, And I Hope You Understand we really do care about you and all contractors regardless of whether or not you ever hire our services. 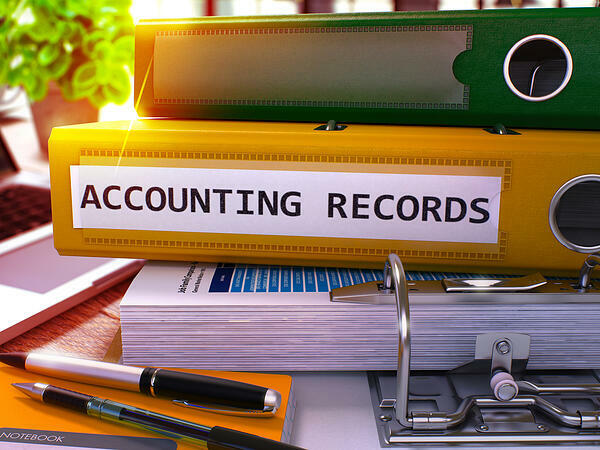 We Scan Your Receipts, And Invoices link the appropriate transactions to QuickBooks or Xero Accounting Online depending on the construction accounting service you are using and provide ongoing Cloud Based Contractors Bookkeeping Services by accountants who understand construction. Thinking About Outsourcing Your Contractors Bookkeeping Services To Save Time And Money? PS: For The Do-It-Yourself Construction Bookkeeper Our Store Has Chock-Full Of QuickBooks Setup Templates, QuickBooks Chart of Accounts And More. And QuickBooks Does Not Work The Way They Want It Too!